Installing the world’s most powerful Mac application for blocking distracting websites and apps takes just 30 seconds. Here’s how to do it. So you've decided that you want to be more productive and do something about the distractions sabotaging your ability to stay focused. Great! Here's the easy 5-step guide to getting you started. It will only take a few seconds. 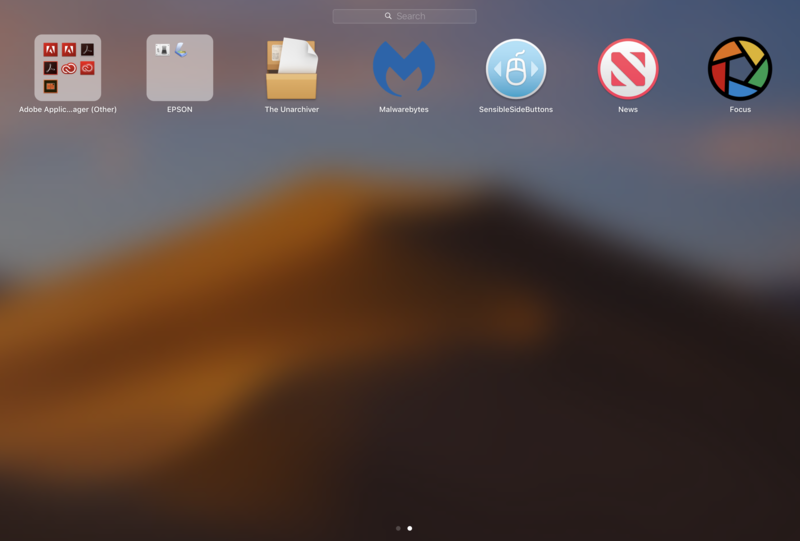 Focus will only work with releases that are later than - and including - OSX Yosemite (v10.10). Click here to download the latest version of Focus. Alternatively, you may also choose to visit www.heyfocus.com and click the "Download Trial" button. 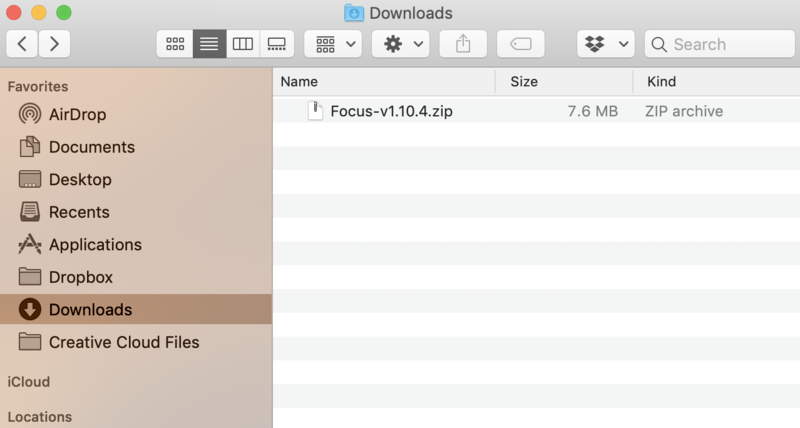 Your download will immediately begin and you will receive the Focus app in the form of a compression .zip file. Your browser will usually transfer the downloaded file towards your Downloads folder unless you have manually set it to store downloaded files elsewhere. Double click the .zip file to unpack it. 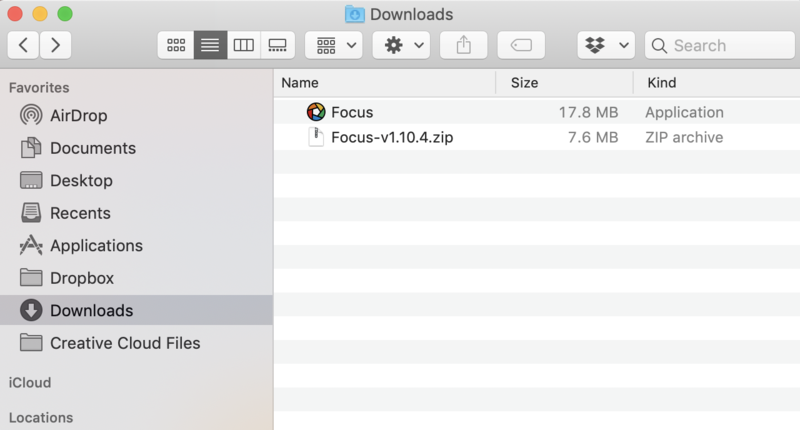 While still in Finder, click and drag the Focus icon from the Downloads folder to the Applications folder. 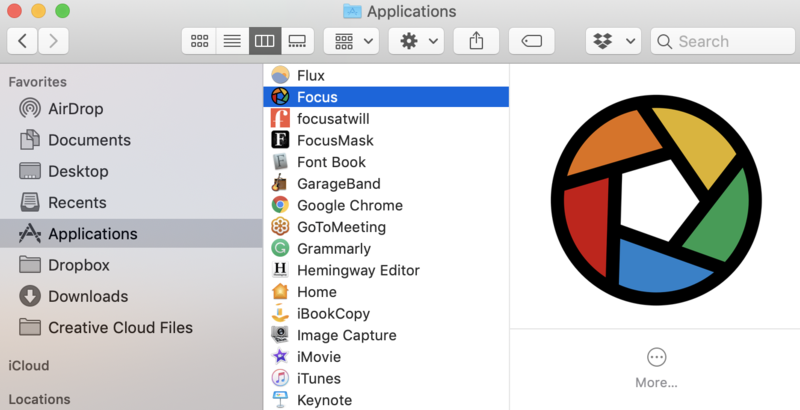 Go to the Applications folder in Finder and launch the Focus app (see the picture above). Go to the Launchpad and launch the Focus app. 5 - Activate Focus and go through the initial setup. You may click the Trial button to begin your 7-day trial and start using the app. You can click the Purchase button and you will immediately be directed towards a checkout page in your default web browser. 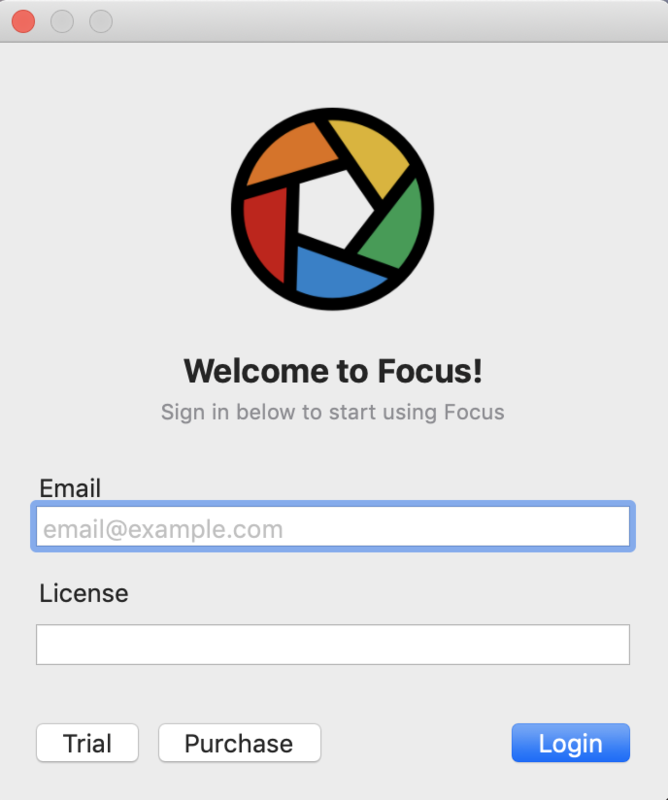 If you have already purchased Focus and wish to sign in, simply enter your Email you used to purchase the app and the License code that was sent to your Email. Press Login and you will be able to start using the app immediately. NOTE: If an option does not exist for entering your License code, try restarting the app. This usually fixes the bug and allows you to enter in your information.